You are here: Home › Bed Bug News › Blog › DIY Pest Control › Can I Freeze Bed Bugs? Will freezing kill bed bugs? As we have learned, bed bugs and their eggs in particular, have evolved to be very durable. For such a seemingly useless insect, they are impressive in their evolution. We know that bed bugs and their eggs cannot survive when exposed to temperatures over 120° for a period of an hour. Can we kill bed bugs in the freezer? Unlikely, and here is why. In December 2013 the Journal of Economic Entomology published a research article titled “Cold Tolerance of Bed Bugs and Practical Recommendations for Control” where they examined how long bed bugs could live in subzero temperatures and how low that temperature would have to go to kill them and their eggs. Based on our model estimates, survival was estimated for temperatures above -12°C even after 1 wk of continuous exposure. However, exposure to temperatures below -13°C will result in 100% mortality in d to ensure mortality of all life stages. Unfortunately, sublethal exposure to lower temperatures did not prevent subsequent feeding behavior in surviving stages. As you can see in this excerpt, bed bugs were able to survive temperatures of -12°C (my handy converter for Fahrenheit -12°C = 10F°). 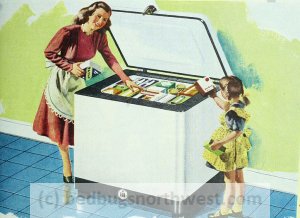 You can see most kitchen freezers don’t get cold enough to kill bed bugs and typically are not that big so you couldn’t put a lot of things in them anyway. At the time of my infestation before heat treatment was unavailable in my area, one company was selling a freezing treatment called Cryonite. Cryonite was supposed to kill any bed bugs that came in contact with a stream of freezing air. That means it had to make direct contact with a bed bug to kill it, just like steam and just like a cedar/alcohol-based spray. It’s not hard to kill bed bugs if you can see them. The freezing didn’t penetrate or extend its reach far enough to kill bed bugs hiding in crevices or baseboards. Untrained technicians could easily use too much air pressure and blow the bed bugs around or into another apartment by blowing them under the baseboards into another unit. Disclaimer: I did not use Cryonite but my neighbor with an infestation did and it did not solve her infestation. During my infestation, I did find my freezer to be a “safe place” I could keep my wallet, keys, purse, and checkbook without having to worry about them getting infested. Check out the article and let me know what you think. If you are wondering how to clean toys and plush animals you still have choices. Read more about bed bug ovens and using the dryer, or no-pest strips are another option for treating unwashable items. Did this information help you in any way? Let me know what you think in the comments or send me a message using my contact form.